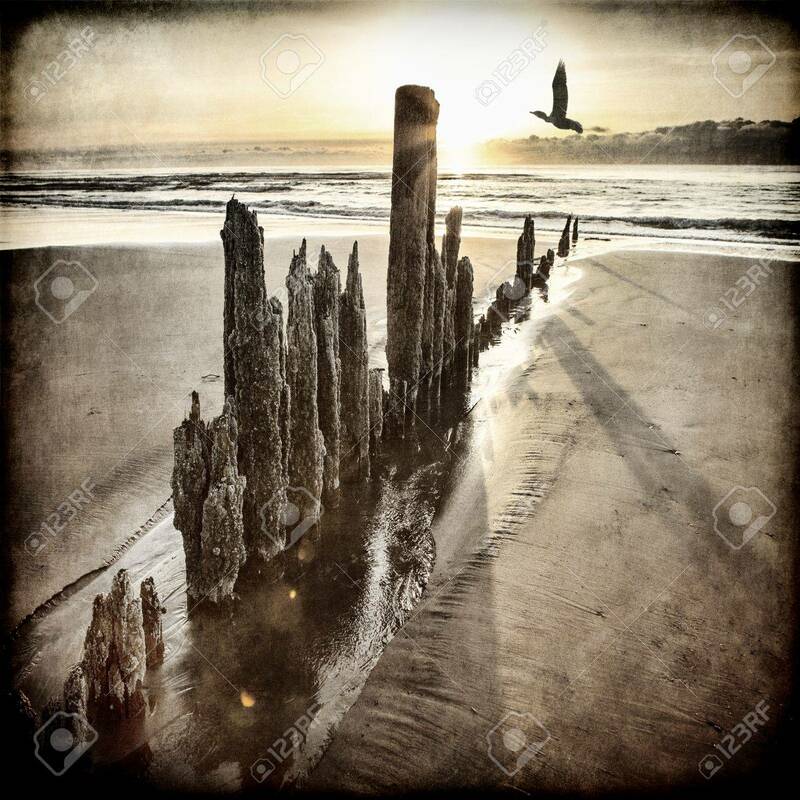 Sunset On An Alaskan Beach With Old Wooden Pillars And A Bird.. Stock Photo, Picture And Royalty Free Image. Image 36425839. Stock Photo - Sunset on an Alaskan beach with old wooden pillars and a bird flying by processed with textures for an artistic look. Sunset on an Alaskan beach with old wooden pillars and a bird flying by processed with textures for an artistic look.